In a small mixing bowl add the softened butter, garlic, thyme, cilantro, chives, parsley, salt, pepper and Old Bay. Mix well to incorporate. Set aside. Once the corn is soft, turn on the broiler and broil, rotating ears once until you see nice coloration, about 10 minutes. 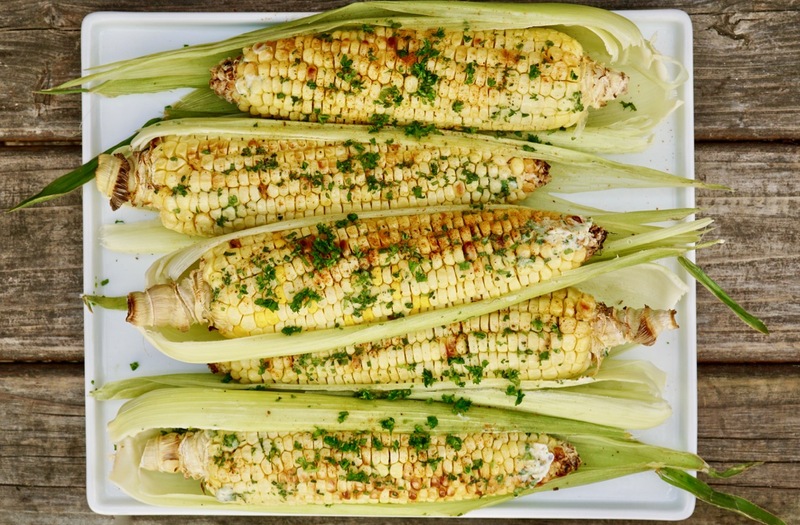 Once the corn comes out of the oven, immediately brush all over with a generous amount of the herb butter. Serve hot. If you're over grilling, remember, there are options. 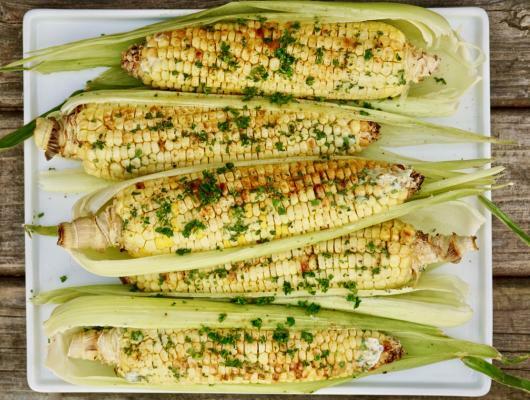 This oven roasted corn with herb butter is an absolute must before the corn season ends.